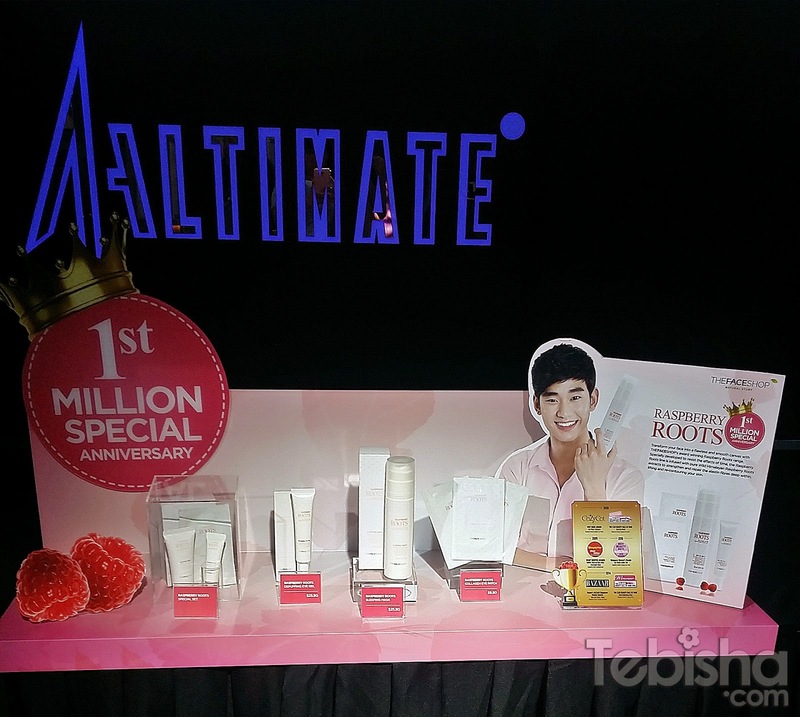 THE FACE SHOP is proudly to celebrate the 1st Million Pieces sold of their award-winning Raspberry Roots range in the month of September at Altimate @ 1-Altitude last weekend. Instagram contest during the event, you may check out all the photos of the event under the hashtag #TheFaceShopRaspberryRoots. 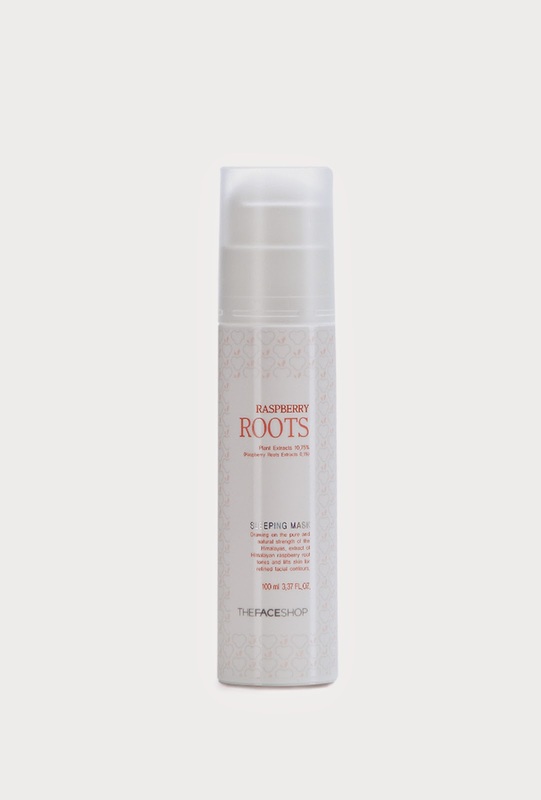 Specially developed to resist the effects of time, the THEFACESHOP’s award winning Raspberry Roots line is infused with pure Wild Himalayan Raspberry Roots extracts to strengthen and repair the elastin fibers deep within. Containing 3 best sellers- Raspberry Roots Sleeping Mask, Raspberry Roots Depuffying Eye Gel and Raspberry Roots Collagen Eye Patch, this all-time favourite range lifts and re-contours skin lacking in resilience while counteracting the oxidative damage of free radicals. 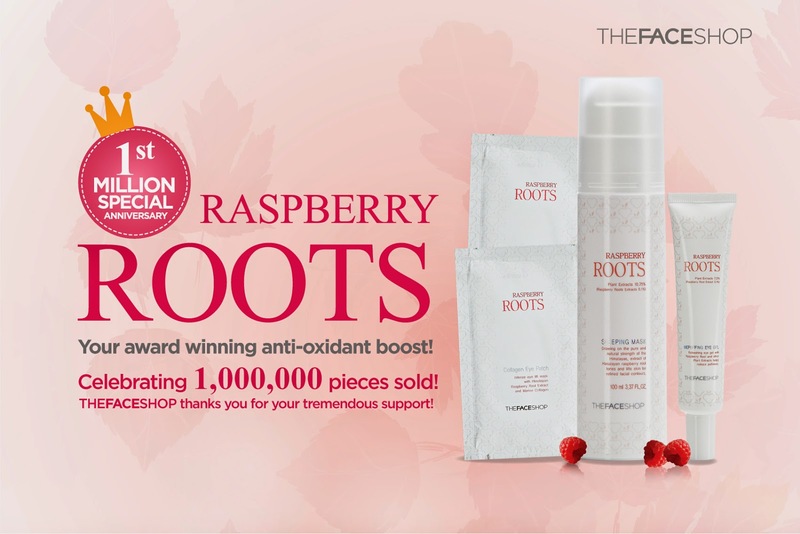 An oasis of comfort for devitalized and dehydrated skin, THEFACESHOP’s Raspberry Roots line quenches even the thirstiest of skins, restoring an ideal moisture balance for a soft and supple texture whilst boosting cellular renewal for a healthy looking glow. 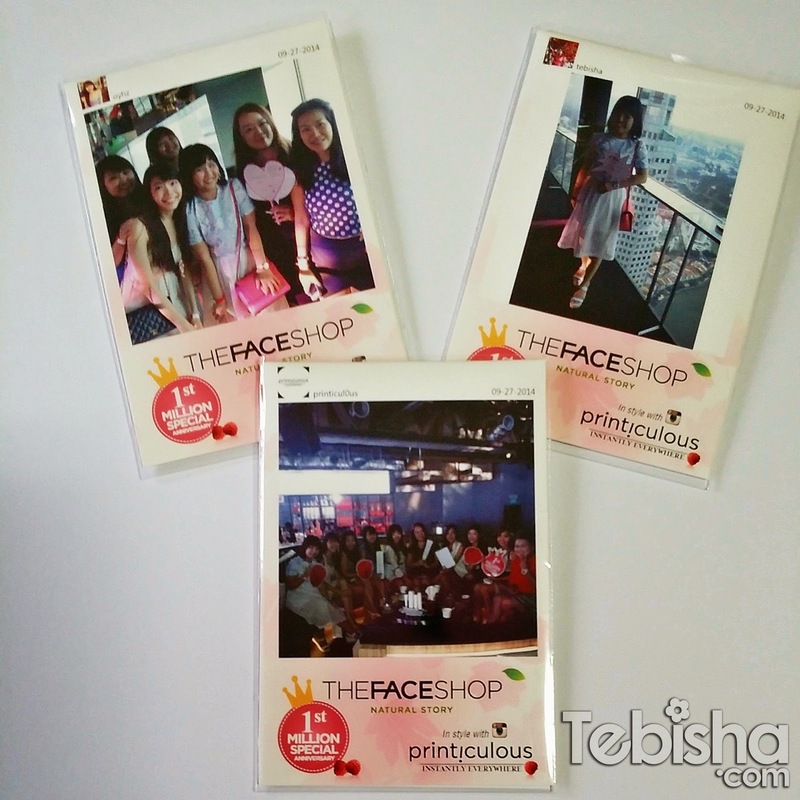 Alethia Toh, the Brand Executive of The Face Shop did an introduction of the Raspberry Roots range to us. Highlights of the event was the game segment. K-Culture of Pictionary game, we have to form a group of 6 in order to participate. And guess what, my group were the grand winner of the Game with correct answers of 10/10! 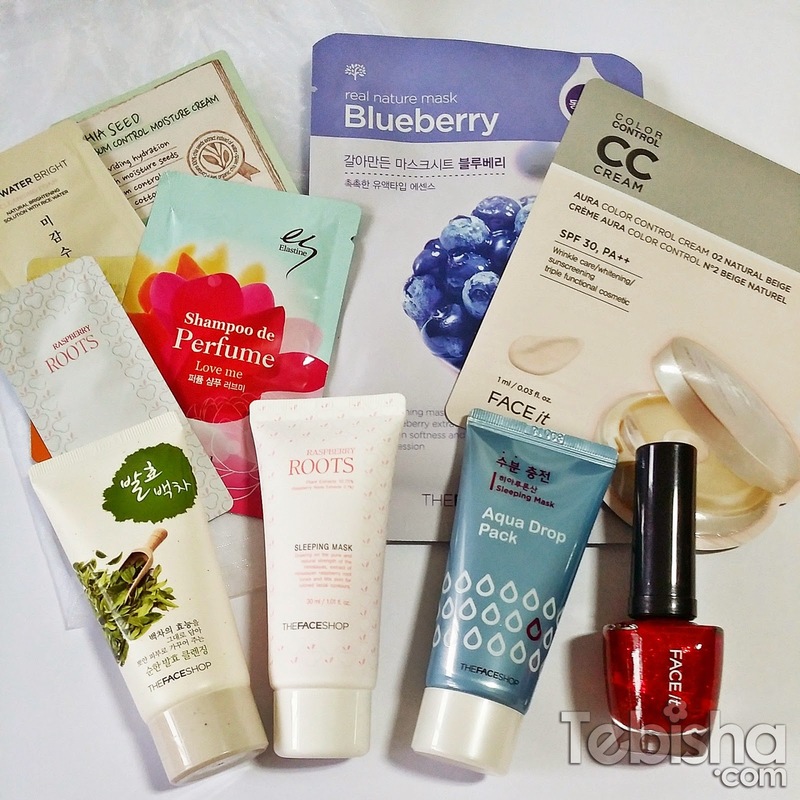 Awesome goodies bag from the event, Thanks The Face Shop! Can’t wait to pamper my skin with the The Raspberry Roots range products! 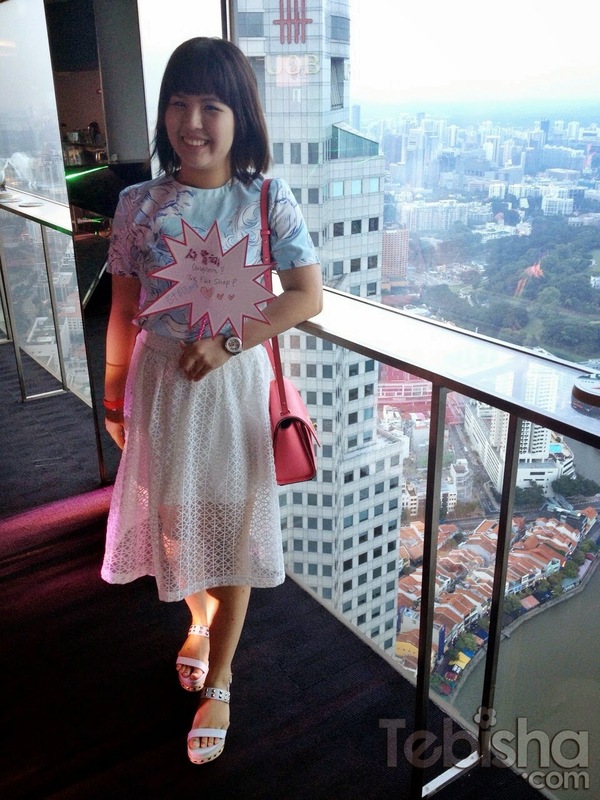 Enjoyed much during the event, able to catch up with some of my blogger friends and also made some new friends! Once again Congratulation THE FACE SHOP for the 1st Million Special Anniversary! 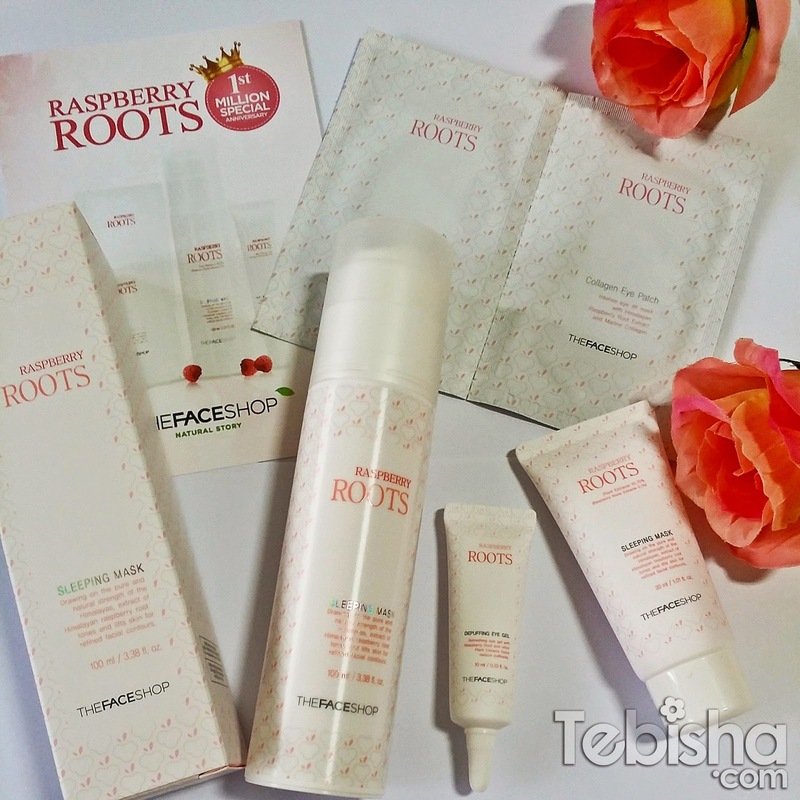 The Raspberry Roots Range is available at all The Face Shop stores. The award winning Raspberry Roots Sleeping Mask nourishes, hydrates and relaxes skin throughout the night. Containing Raspberry Roots from the Himalayas that are rich in anti-oxidants, it helps to promote collagen synthesis, letting you wake up to tighter and firmer skin. Now you can sleep your way to beauty! Directions: Apply a thin layer evenly over face as a final step in your nightly skincare routine. Lightly cleanse your face with a foam cleanser the next morning. Bid goodbye to puffy eyes! The Raspberry Roots Depuffing Eye Gel provides instant cooling sensation and hydration for your eyes. The caffeine content helps to stimulate blood circulation, reducing fluid retention. Containing Raspberry Roots extract, this product helps to promote collagen synthesis and visibly improve the firmness around your eyes. The rich Vitamin C from Grapefruit also aids in brightening the skin tone. The skin-friendly Lecithin Gel Network formula enables the light texture of the gel to glide onto the skin smoothly, while the Sage, Chamomile and Aloe Vera extracts soothes, relieves and relaxes the skin. The eye gel also contains Purslane to help protect the skin against allergies and bacteria. Directions: Apply a thin layer around the eye area. Dark circles? Puffy and tired eyes? 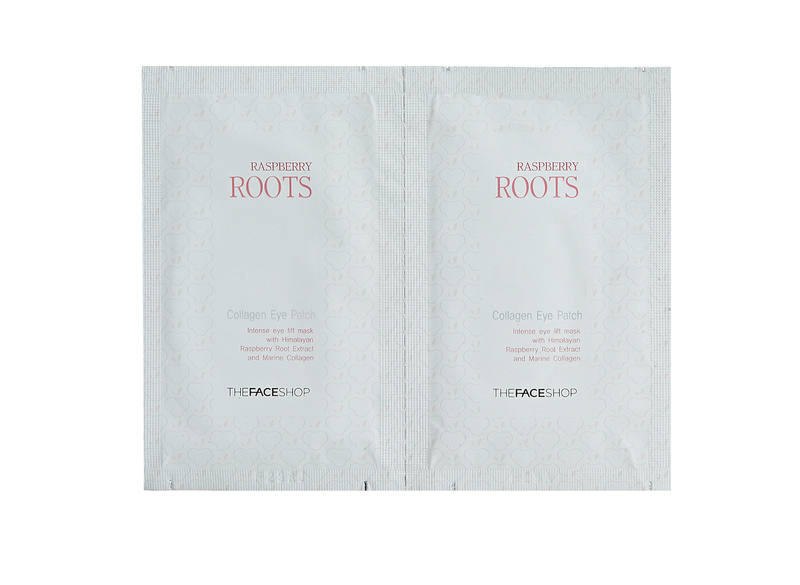 Get your weekly fix with Raspberry Roots Collagen Eye Patch- an intense eye lift mask with Himalayan Raspberry Root extracts and Marine Collagen. Soothe, hydrate and lift your eye area as the eye patch stimulates the formation of collagen, revealing youthful-looking skin. Directions: Remove protective plastic film and place the eye patch under the eyes (with the gel side against the skin, and the gauze side facing outwards). Remove after 30-45 mins, or when gel is absorbed into the skin.